Sharjah: Sharjah has opened its first, solar-powered air-conditioned bus shelters, the Sharjah Road and Transport Authority announced on Tuesday . The first phase roll out has made available 28 air conditioned shelters out of the 172 designated AC bus stops planned for the city. The project is being carried out following a study by Sharjah Roads and Transport Authority (SRTA) which identified the most crowded areas frequented by public transport users. The new shelters are expected to cover 176,000 passengers, the study suggested. The shelters are also equipped with electronic bulletin board displays showing bus service timetables and routes. Work on the bus stops began on November 12 last year. The shelters have a highly functional design and structure and can hold up to 15 passengers. 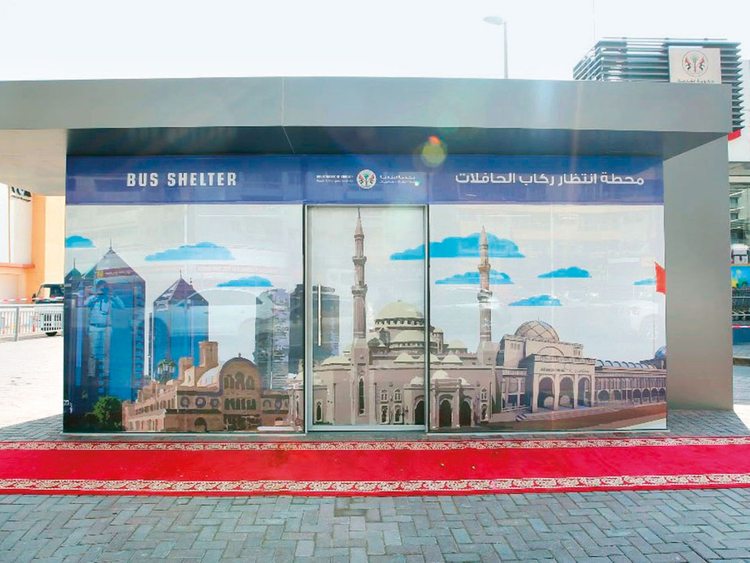 Abdul Aziz Al Jarwan, director of Sharjah Road and Transport Authority, said: “All of the new bus shelters accommodate 10 to 15 passengers at a time with a spacious seat for four passengers.” The shelters will open at 6am and close at 12 midnight. The 28 bus shelters built in Sharjah include six on Al Wahda Road, four on King Faisal Road, four on Al Dhaid Road and Airport Road, four on Al Zahra Road, two at the Round Clock roundabout, two on Shaikh Khalid Bin Khalid Al Qasimi Road, two on the 1st Industrial Road, one on Al Oruba Road, one on University City Road, one in Al Rifaa area, and one in Al Nahda area.